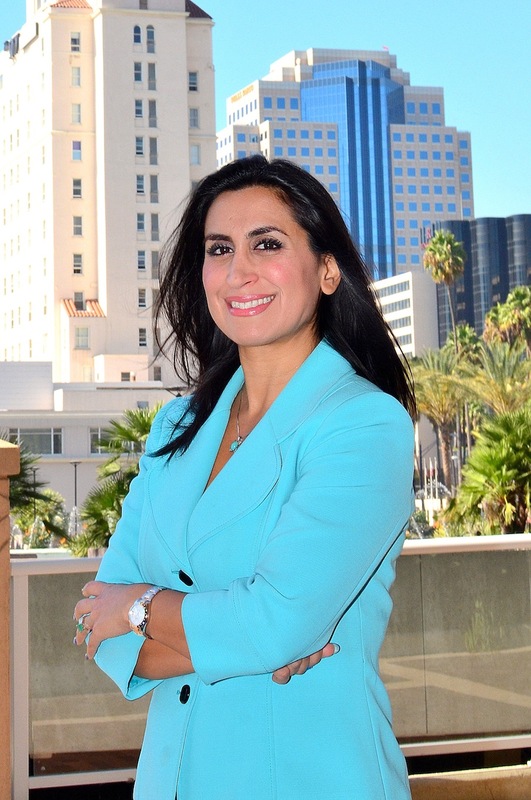 Washington, DC – Sunny Zia, President of the Long Beach Community College District (LBCCD) Board of Trustees, recently spoke with PAAIA about her experience as an elected official. Zia is the first Iranian American to serve on the Board of Trustees and as the Board President. She is serving her second term on the LBCCD Board, having been elected the Trustee for Area 3 in April of 2014 and then re-elected in 2018. Zia holds a Master’s Degree in Civil Engineering and has over two decades of experience in construction, environmental, water, and infrastructure projects. Currently, she is a Senior Civil Engineer and Program Manager at the Port of Long Beach and is responsible for overseeing multi-million dollar capital improvement projects. As a leader in her community, Zia has experience with helping at-risk youth, addressing hate crimes and bullying, creating policies to overcome poverty through micro-lending, resettling refugees and immigrants, and supporting job placement for veterans and other displaced Americans. In her first term on the LBCCD Board, she successfully led the effort to make the LBCCD Board’s spending transparent, supported business opportunities and partnerships, pushed for policies that created local jobs with an emphasis on training a highly skilled workforce, and provided support for students facing homelessness. PAAIA: Why did you decide to run for an elected position and serve in public office? Sunny Zia: I left Iran when I was 9 years old during the Iran-Iraq war. My parents were the ultimate dreamers of the American dream and like many Iranians, they sacrificed everything they had in hopes that their two children would have a prosperous future. When I moved to the U.S. at that time, it was unlike anything I imagined. The first place we moved to was a very wealthy agricultural community where there were little to no Iranians and no one who looked like me. You were either White, Armenian, or Mexican, and it was incredibly difficult being in that kind of affluent community as we started in a new country with humble beginnings. After the war was over, I moved back to Iran with my mother and sister for high school. To say that it was an arduous process is an understatement. I had to relearn Farsi, learn Islamic theology, and study Arabic. My senior year in high school, I was homeschooled and studied on my own for the national entrance exam, Konkoor. I got into the school of my choice and one of the top schools in the country, the University of Tehran for Civil Engineering among which the top 100 brightest students in country were also admitted. My senior year, July 1999, the first uprising (Kooyeh Daneshgah) happened and the school shut down. This led me to turn in all my projects and ask for the Administrators to allow me to separately take my final exams to come back to the U.S. so I was essentially the first who graduated from my class and cohort. That year was probably the most defining in my life as classmates of mine went missing or were imprisoned. There lies the spark in why I decided to pursue public service when I get back to the U.S. I felt that in Iran I was utterly helpless in my capacity to serve my classmates and their loved ones who may never see them again. I pretty much vowed that when I came to the U.S. I would make sure that everything I do would be with the intent of taking care of my Iranian community. Those eight years in Iran made me realize that our community needs an advocate in the most powerful country in the world. I never intended to be in politics or pursue public office since it was so forbidden by my parents. I started my journey in the humanitarian sector where a group of young Iranian American professionals like myself formed the Network of Iranian American Society to help Iranians in the U.S. and in Iran. We also made significant contributions to the community at large by working with women and children’s shelters, championing public safety, and doing pretty much anything we could to help the local and global community. Shortly after, I got involved in the Democratic Party and one of the senior party leaders suggested I run for office. I didn’t feel ready, but when a new piece of legislation permitted the Long Beach Community College District to institute a two-tier tuition system that allowed wealthy students to fast track their education, I immediately declared my candidacy. I wanted to do my part in serving this nation that gave me a life I could not have had otherwise. So I decided to take action locally and ensure that we did not become a community of haves and have-nots. The reason why I chose this office was that, as an Iranian American, the importance of education is not only inherent in our culture but something that has helped us prosper in this great nation and be able to serve it well. It also offered a long-term approach to set policies that address poverty in a meaningful way. Community Colleges serve the most underserved and disproportionately impacted communities through affordable quality education and the opportunity to get trained back into the workforce through workforce development and career technical education programs. I am now serving my second term on the LBCCD Board of Trustees and it has been an incredible journey. PAAIA: Tell us more about the role of the Long Beach City College District (LBCCD) Board of Trustees and your priorities as new President of the Board. Sunny Zia: My role on the Board of Trustees is to set policies for the Long Beach Community District, which includes between 20,000-30,000 students in the community. I represent about four council districts and roughly 100,000 constituents. The responsibility of the Board of Trustees is to set policies that affect the educational and professional successes of the students and citizenry we serve. This includes ensuring we maintain access to quality higher education to ensure that students matriculate, advance, and are career ready. As the President of the Board, one of my roles is to make sure we have effective Board relations and run our governance strategy in a collegial and collaborative manner in support of our students’ well-being. My priorities have been to increase transparency on our spending. We employ over 2,300 staff, 1,000 firms and have over $1.3 billion dollars of voter-approved bond dollars for our construction funds. As someone who has spent over 21 years in the construction industry as an Engineer, Auditor, and Program Manager, I have brought my knowledge of fiduciary responsibility to the board in order to ensure our money is spent wisely and that we have more savings so that we can support our students. Lastly, I have focused on creating more internship opportunities by way of bringing industry and business partners to hire our students, whose companies, in turn, get access to a wide network of agency partners and mass media exposure. This is something I am especially proud of since it is rare to have academic institutions at the Community College level partner so closely with business and attempt to meet imminent and future workforce demands. PAAIA: What have you learned so far in your time on the LBCCD Board of Trustees? Sunny Zia: This role has taught me not only a lot about myself professionally and personally, but also how to think more strategically about working in mainstream politics. It has also taught me about the importance of this office in particular and how effective it can be. The LBCCD Board of Trustees touches many different policy REALMS such as local municipality, county, state, federal and national arenas. PAAIA: What would you tell Iranian Americans who are interested in getting involved with politics and public service? Sunny Zia: The short answer I would give is to just get involved. I would give them the advice that I got from my mentor: if you want to create influence and power in the U.S., if you want to be counted as an American and not a minority on the fringes, it doesn’t matter how much education you have or how much money you have, you need to get involved in politics. Otherwise, you don’t have a seat at the table, and if you don’t have a seat at the table, you’re on the menu. Case in point: the Travel Ban. I would also advise to start somewhere at the local level and build your way up (e.g. school or College Board). And lastly, I’d advise that this journey is not for the faint of heart. PAAIA: What are some of the challenges and rewards of being an elected official? Sunny Zia: Challenges are certainly plenty and they include a hefty time commitment and having to deal with all types of personalities. The benefits for me have been waking up knowing I have worked to make my community better by creating high-skilled jobs or helped save someone from homelessness or supported creating thousands of jobs that contribute to the local economy. Despite all of the challenges, the litany of benefits makes it worthwhile.